At 22, Nischay Parekh is quite different from your average Joe: he released his hit debut album, Ocean, in 2013, played sold-out shows at festivals like the Bacardi NH7 Weekender and A Summera��s Day, and, quite unusually, wears the tag of pop musician with pride. a�?I dona��t like being called a singer-songwriter because it brings to mind someone sitting on stage with an acoustic guitar, singing of past relationships. Though it might be in essence what I do, there is so much more to my artistry,a�? 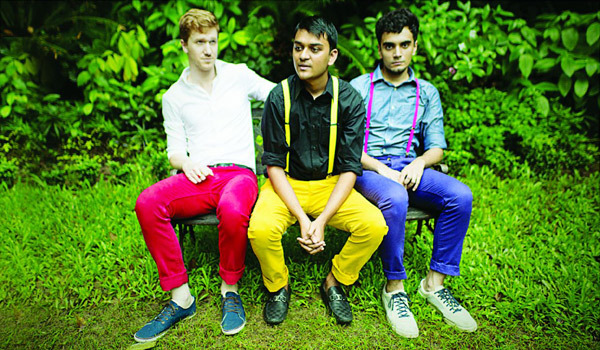 says Parekh, who will be in the city this weekend with his banda��comprising Berklee classmate Dylan Varner-Hartley on the keyboard and PINKNOISE drummer Jivraj a�?Jivera�� Singha��as part of IndiEarth at The Park. The youngster from Kolkata, who is majoring in music production at the Berklee College of Music, is already being compared to the likes of John Mayer and Jason Mraz. While he says ita��s very flattering, he is more keen on developing his style which is a�?experimentative, playful pop musica�?. a�?I grew up listening to my mothera��s cassettes of Stevie Wonder, The Beatles and Michael Jackson. To me, pop is a good foil because it is a very free form of music where you get to borrow from all disciplines and genres, be it R&B, jazz or hip hop,a�? says Parekh, who got into music at 11 when he took guitar classes with Tajdar Junaid (of Kolkata alternative-rock act SPAN). In fact, he wrote his first song a few months after. Today, Parekha��s character-driven songwriting is praised as being lyrical, youthful and mature. A fan of fantasy fiction and poetry, especially of William Blake, he says his lyrics come from his love of mysticism. a�?I like putting animals in human situations and giving them human emotions (inspired by Blake). Like the song, Panda, in my album Ocean or the whale in the song, Philosophize,a�? says the singer, who admits to having read the entire Harry Potter series over 40 times and watching all the movies by Woody Allen and Wes Anderson, besides a good dose of sci-fi. Currently working on his second album, tentatively titled Sunbeam, Parekh says the music is different. a�?There will be a lot more electronic instrumentsa��like synthesisers and drum machinesa��a��but there will also be melodies,a�? he says, admitting that more than live gigs, he loves the idea of people listening to his music at home. But thata��s not to say we wona��t get to hear a great mix. a�?Wea��ll play a lot of new music and some from Ocean. Therea��ll be a new orchestration thata��ll be a more futuristic and urban soundscape,a�? he concludes. Writing: I write whenever inspiration strikes. I often use the notepad on my iPhone to write lyrics. On loop: Ia��m listening to Allen Hampton, Leslie Feist, Al Green, Marvin Gaye, a lot of electronic, like Aphex Twin, and also jazz standards like the Bertram Turetzky classics.